Hackers across the country are working overtime to find ways to unlock the SIM cards that will come with Apple’s iPhone once it is launched at the stroke of midnight on August 22. Since the SIM-locked iPhone will be sold by Airtel and Vodafone Essar, non-Airtel /Vodafone GSM subscribers won’t be able to use it unless codes are available to break the SIM lock. While Airtel and Vodafone Essar executives aren’t ruling out the likelihood of the much-hyped phone being hacked within days of its India launch, the companies were unwilling to comment on the safeguards that have been put in place to keep hackers at bay. The Turbo SIM may not be available in India immediately , but one can always order it online or even do a Google to unravel ways to use the card to unlock the iPhone. Airtel and Vodafone officials remain unfazed. 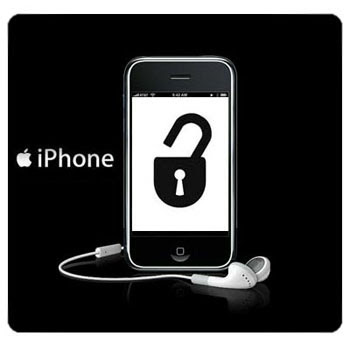 “SIM lock-related issues will have obviously been addressed by Apple. The phe-nomenon isn’t new as codes to break the iPhone SIM locks have evolved in global markets where the phone has been launched. One cannot rule out such a phenomenon in India. But since the iPhone is being offered at a full-blown price in India, all network-related issues will have been factored in,” said a top Airtel executive. Officials at Vodafone said: “We are launching the 3G iPhone in two variants—8 GB and 16GB. The operating system is proprietary of Apple and we cannot share any further details.” While both Vodafone and Airtel execs remain tightlipped on the actual operating system/version that will power the iPhone in India, ET has learnt the phone may be launched with the latest iPhone 2.0 software update. If you are not an Airtel or Vodafone Essar user but are still keen to use the phone, you first need to find out the version of your iPhone. To find out the firmware (version ), open the emergency call menu on the iPhone and type *3001#12345#*, suggests a software spe-cialist . Detailed instructions are available online, but the process basically involves copying the information from your SIM onto a Turbo SIM, and then switching your SIM for your carrier SIM. This al-lows the Turbo SIM to piggyback on your carrier SIM, and report-edly gives the phone full calling, SMS and EDGE capabilities. For older versions of the software, a quick search on Google will throw up a number of ways to unlock the SIM. Such software is freely avail-able on the internet. iPhone Price cut in India? iHologram - real or fake? OMG! 8GB iPhone to cost Rs 31,000? Who is Adsense Premium Publishers? Why you cant use Mobile at petrol station?